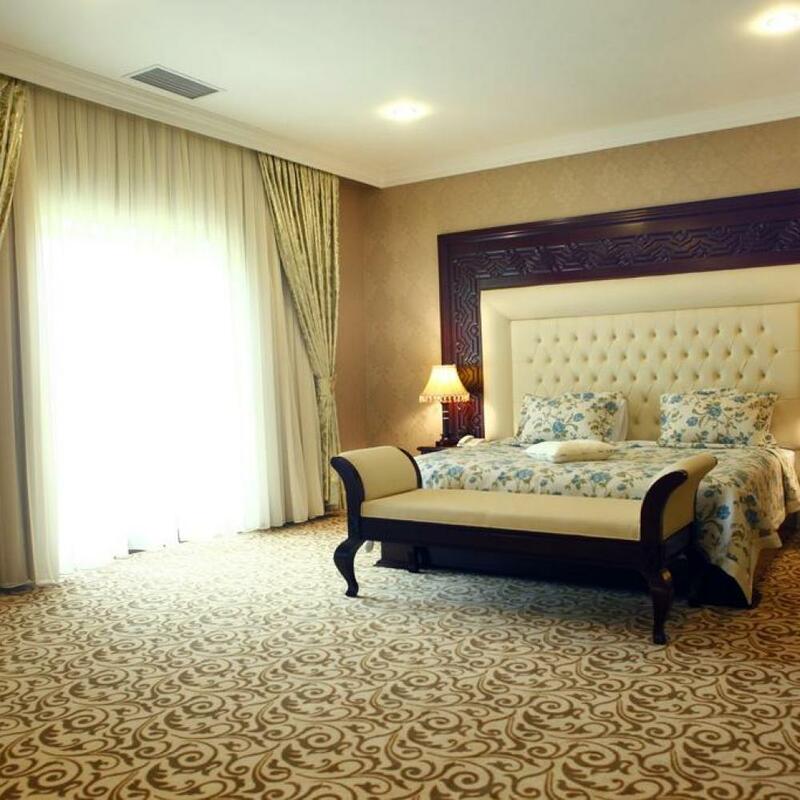 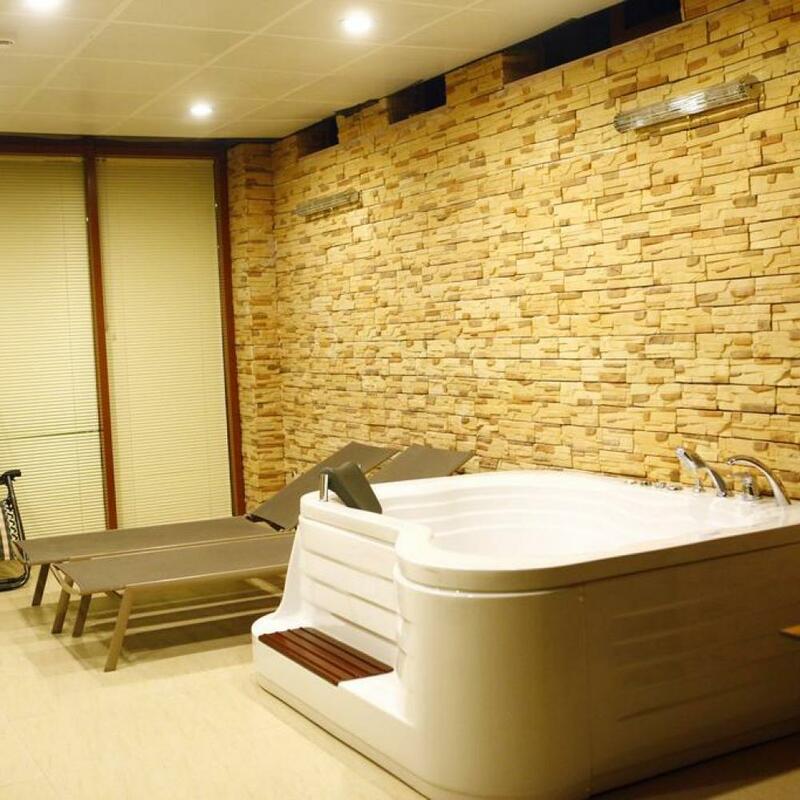 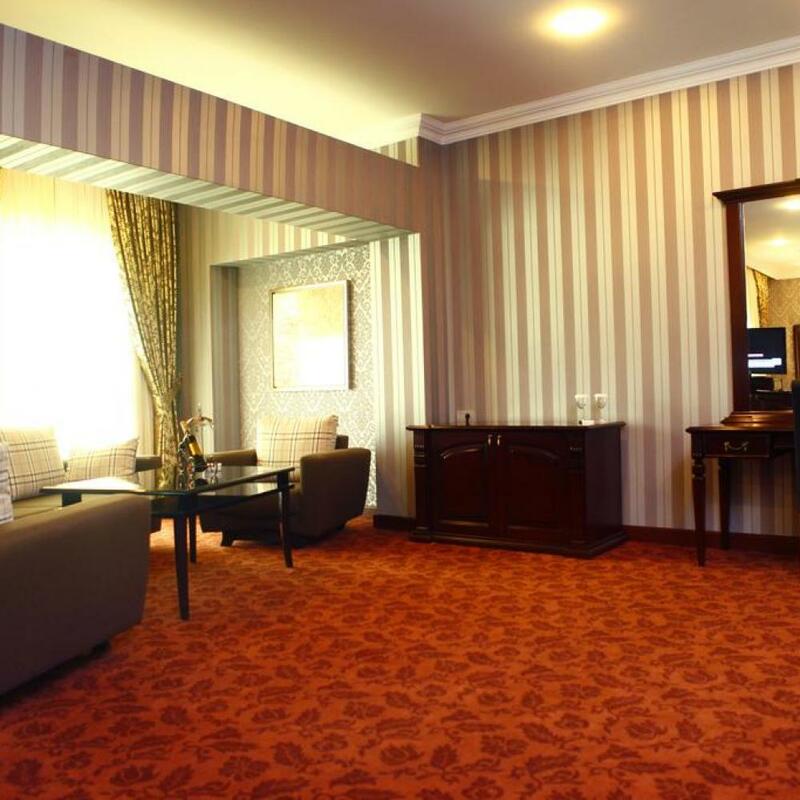 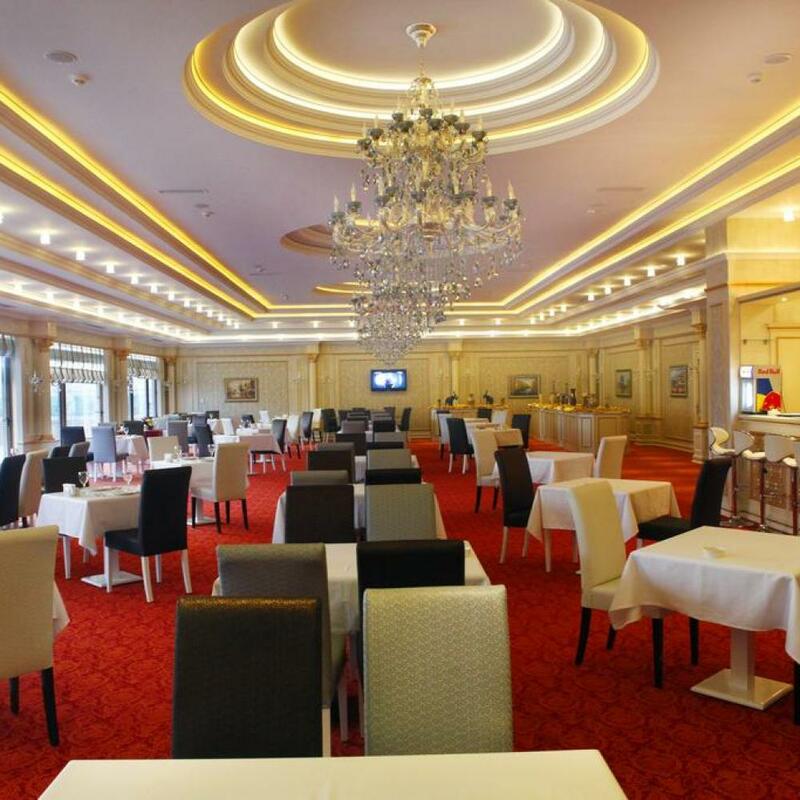 Featuring free Wi-Fi and a fitness centre, this hotel is located 6 minutes’ drive from Baku Train Station. 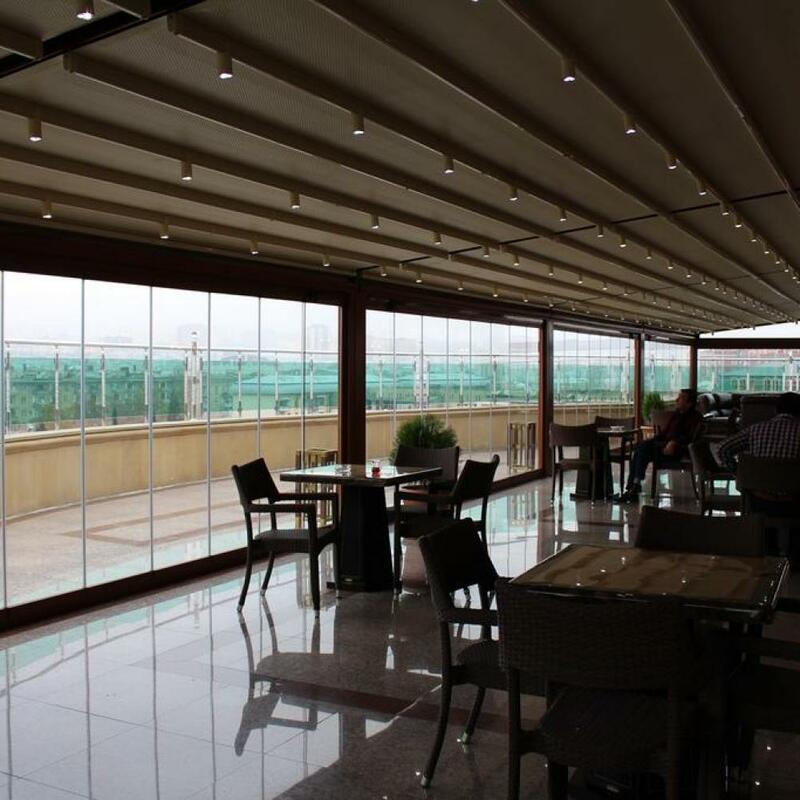 It offers a terrace with a city view and air-conditioned rooms with a minibar. 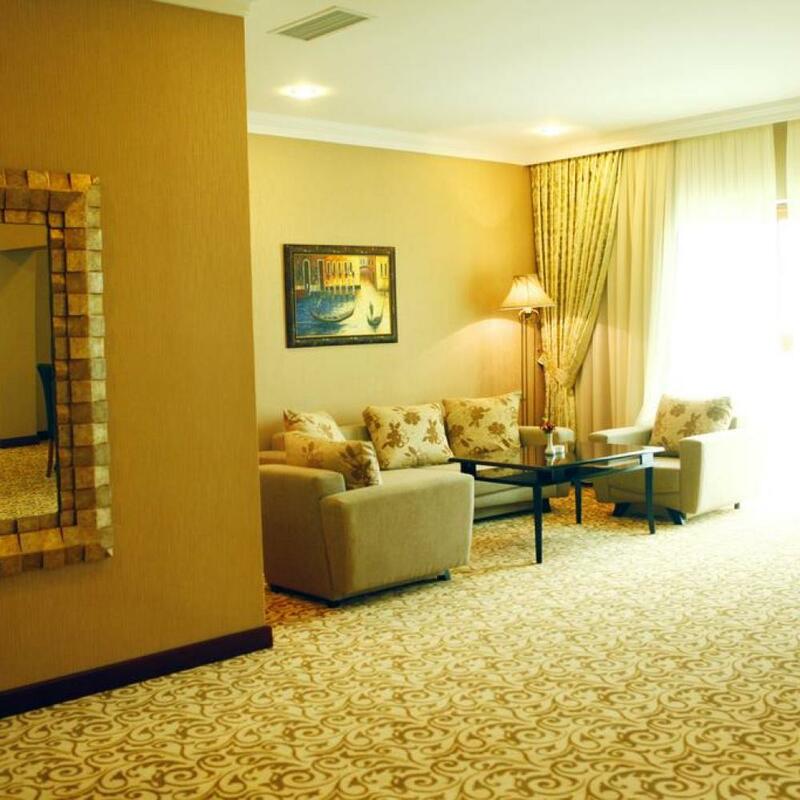 All the elegant rooms at Modern Hotel are decorated in a classical style and include a flat-screen TV. 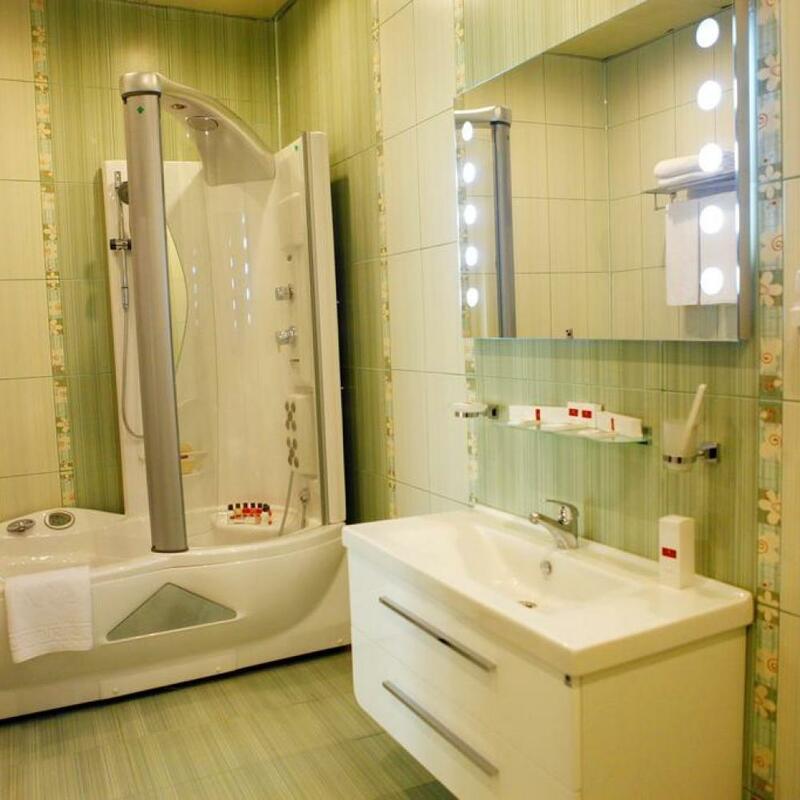 Bathrooms come with bathrobes and slippers. 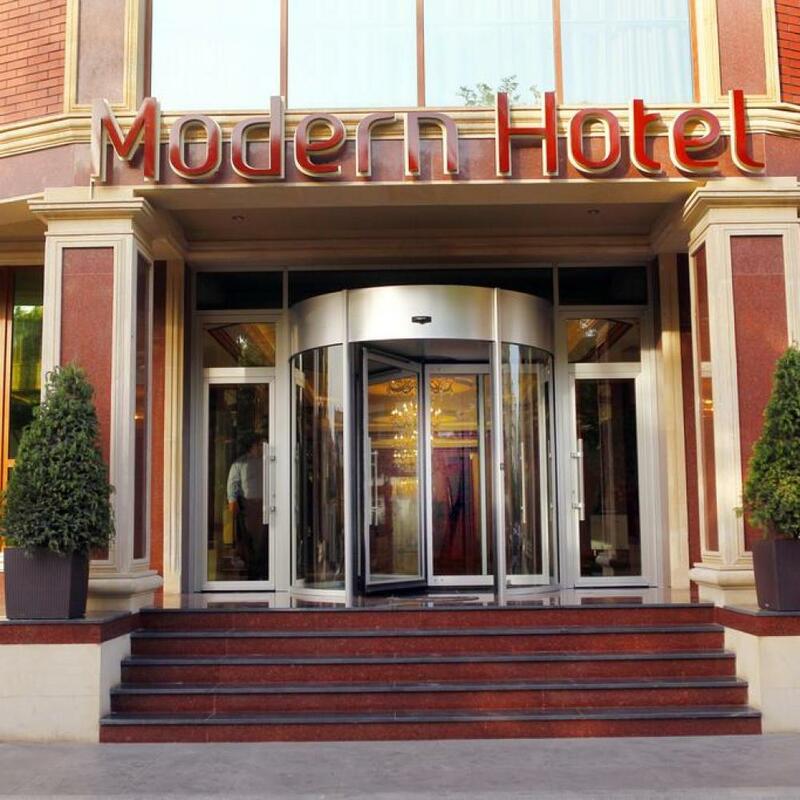 The Modern’s stylish restaurant serves a variety of European, Turkish and Azerbaijan dishes. 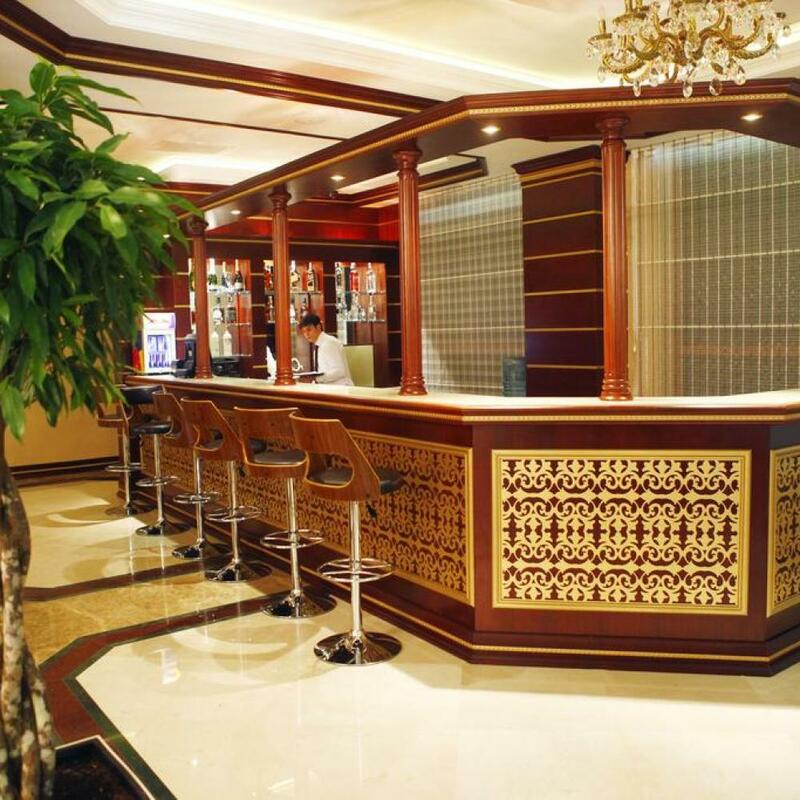 Drinks can be ordered at the lobby bar. 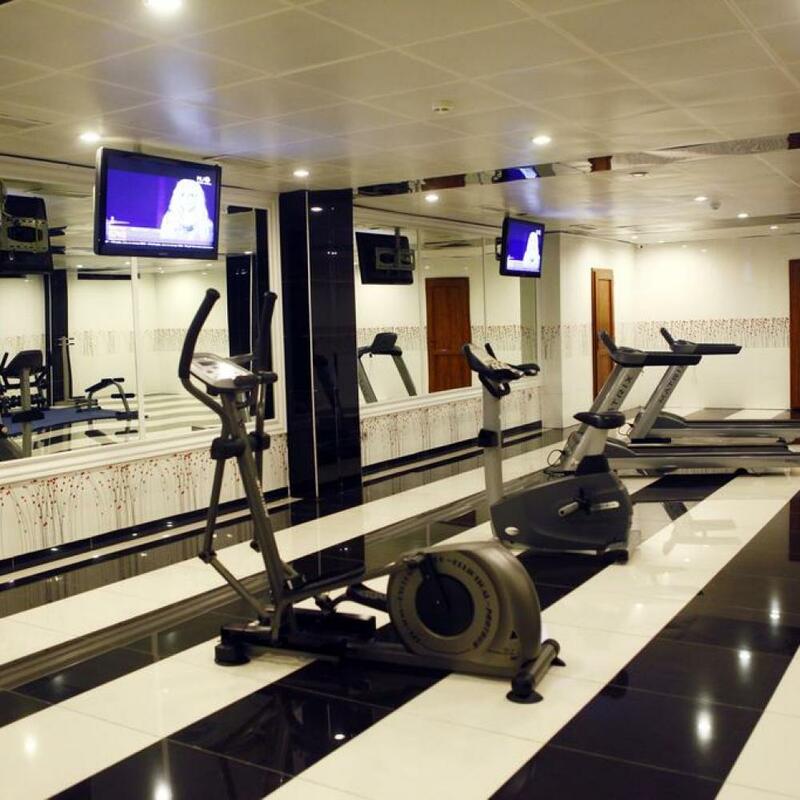 Guests of Modern Hotel can work out in the fitness centre, play billiards or enjoy Baku’s panorama from the terrace on the 7th floor. 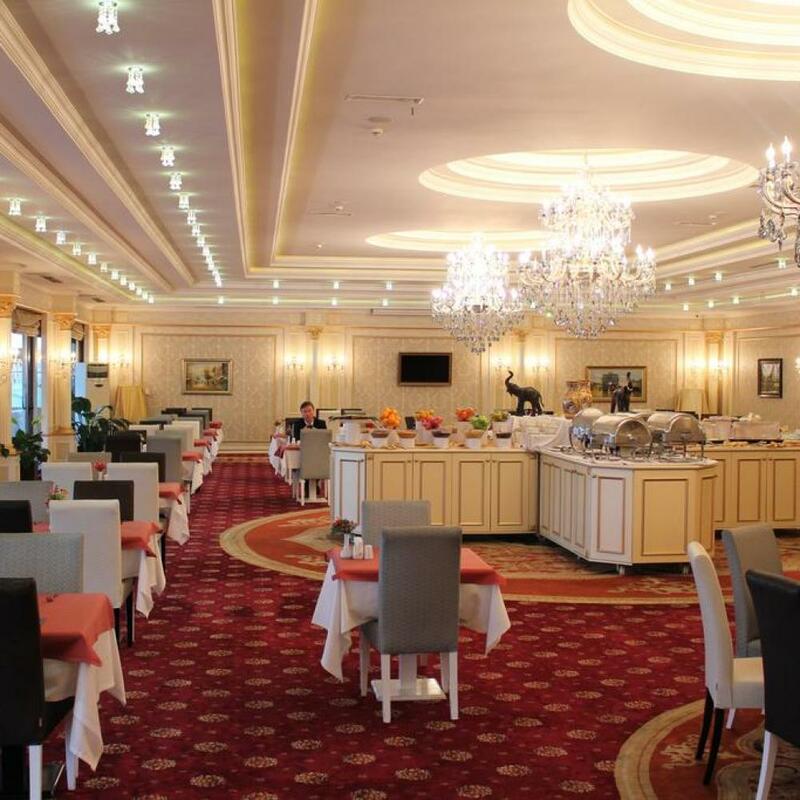 The Old Town district is 15 minutes’ drive from Modern Hotel, and the Kaspian Sea embankment is 13 minutes’ drive away. 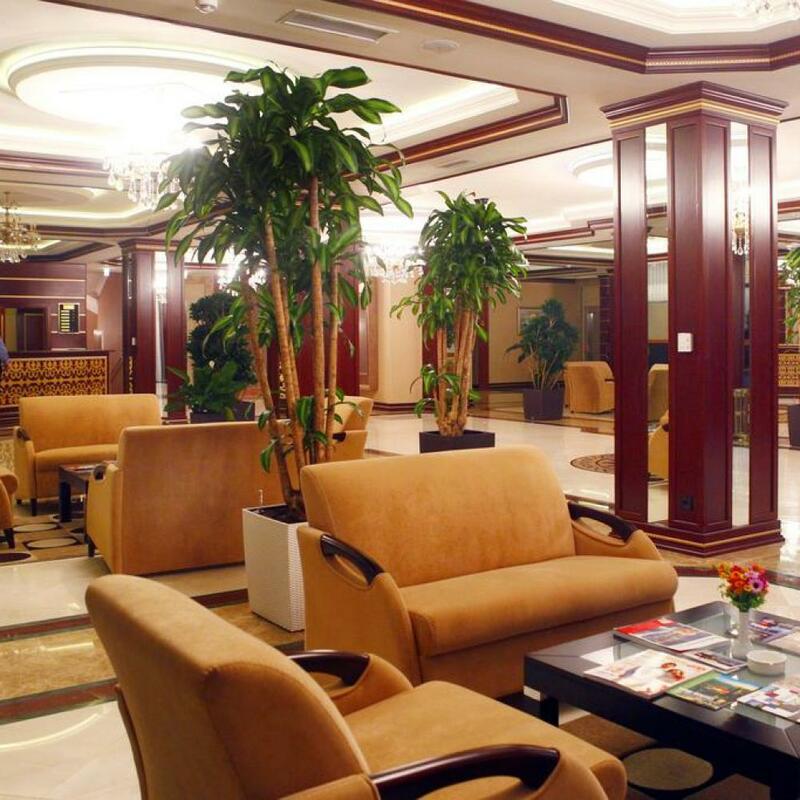 It is 25 km from Heydar Alyev Airport, and a shuttle service is available.